The core of Oakley’s optical superiority is built on a true passion for enhancing performance in sports. Founder Jim Jannard first innovation was a new type of motorcycle handgrip with a unique tread and a shape that more closely fit into the rider’s closed hand. It was quickly adopted by top pros of the day for its ability to grip more with sweat. Oakley made its next mark with the introduction of its O Frame goggle, which became a mainstay in motocross racing for almost 20 years. 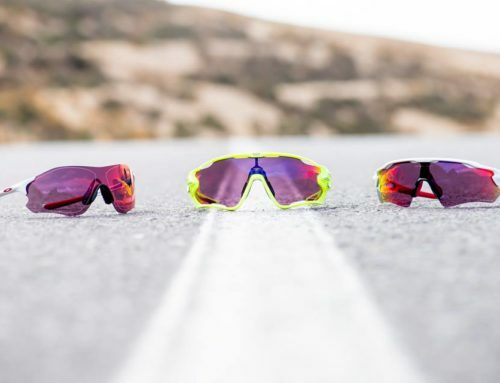 What Does Oakley Offer in Frame Material? O Matter: Created for durability and controlled flexibility this lightweight material provides superior protection, comfort, and performance. C-5™: Oakley’s wire frames are created form five metallic compounds that are fused into a single C-5™ alloy that is not only ultra-lightweight but also incredibly strong. Acetate: Oakley’s acetate frames are hand-made and layered allowing for the frames to come in a variety of rich colors and textures. Acetate illuminates the frames high quality look and feel. Titanium: Oakley uses titanium in a handful of their wire frames to create its strongest, lightest, and most comfortable wire frame. Titanium is ultra-lightweight and virtually indestructible making it one of the most comfortable lens materials for all day wear. 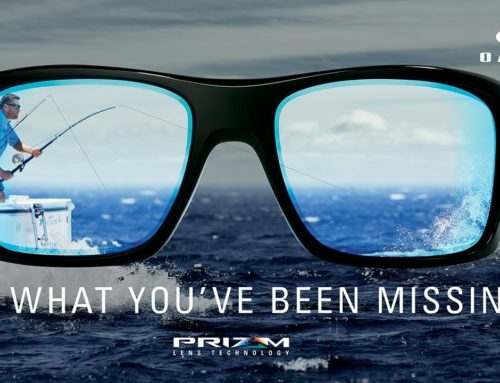 Carbon Fiber: This ultra-lightweight material is ideal for frames as it provides superior comfort and flexibility. Aluminum: Oakley uses Aluminum in a handful of their frames. Oakley’s Aluminum is an aerospace-grade aluminum alloy that allows the frames to be both durable and extremely lightweight. What does Oakley Offer in Frame Technology? 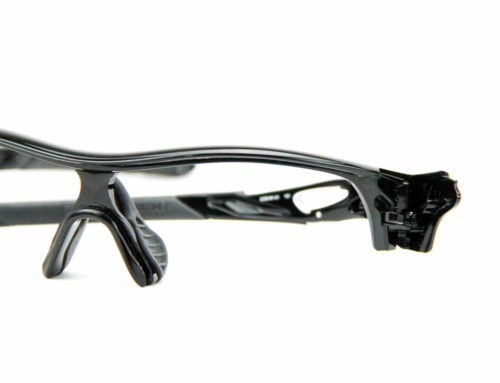 Frame Three Point Fit: Oakley created and patented the Three-Point Fit so that each frame only makes contact at the bridge of the nose and the temples. This feature allows your frames to stay in perfect alignment, giving them a secure fit and eliminates any discomfort from your frame pressing on unbalanced pressure points. Unobtainium™: Oakley first launched their Unobtainium™ technology on their sports performance frames on the nosepads, earpads, and earsocks. Unobtanium™ provides superior comfort and performance as it increases the grip as you perspire. Switchlock™: Oakley created the Switchlock™ technology to allow for easy, fast, hassle-free changing of lenses. This technology allows athletes to quickly customize their frame to changing light conditions providing them with superior optical experience regardless of the light conditions they are performing in. What Does Oakley Offer in Lens Technology? 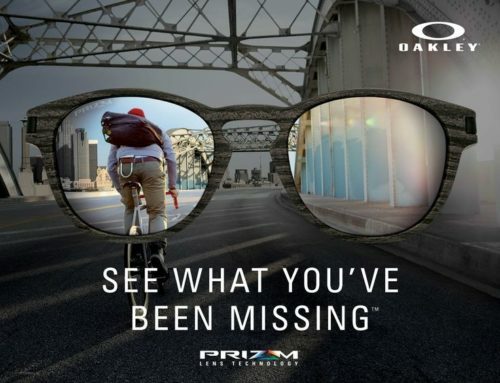 Oakley True Digital – Oakley True Digital™ lenses are uniquely designed for athletes and sports enthusiasts who demand the best vision possible in high-wrap frames. Oakley performs their magic by digitally joining two lens zones; mid-periphery and far-periphery. Simply put, these are the best active lifestyle lenses money can buy. Plutonite – Oakley’s Plutonite Lens Material is lightweight and shatterproof; perfect for an active lifestyle. Oakley Plutonite stops every wavelength of ultraviolet radiation which includes UV-A, UV-B, UV-C and Blue Light. The Plutonite in Oakley’s performance sunglasses meets and exceeds the impact standards of the American National Standards Institute. This means that as debris kicked up by a passing truck can travel up to 102mph and can be as heavy as a metal spike without chattering you lenses. Oakley HDPolarized™ – Oakley HDPolarized™ sunglasses protect your eyes from harsh glare without compromising clarity. Oakley’s polarized lenses are engineered differently than most. Most companies polarize lenses by gluing addition filter layers on a plain lens. Each additional layer creates further distortion and loss of clarity. Instead of lots of layers, Oakley takes a powerful polarized filter and forms the lens around it with Plutonite, their proprietary polycarbonate. This creates a lens that is lean and powerful enough to block intense glare without compromising clarity. Oakley’s Transitions® SOLFX™ – (also known as Photochromic) lenses darken and lighten automatically in response to changing intensity of UV light. Oakley High Definition Optics (HDO) – provides clearer, sharper and more accurate vision. Oakley’s HDO technology virtually eliminates any distortion that is common with high-wrapped sunglasses. Conventional lenses can magnify images as you look through them, the HDO lenses give you a more accurate vision across your entire field of view.